In january 1995 Kirri moved in. With Kirri we competed in higher class tracking, obedience class II and open class blood tracking. Kirri is the mother of our A litter, born in 2000, sired by KORAD SUCh Adam-Bertil. In 2002 she had our B litter sired by IPO1 VPG3 Portus v Moisburger Berg. One male pups was exported to Australia. Altibo's Barre sired in 2005 and 2007 a litter in Australia and KORAD Altibo's Bele gave us a litter in March 2006 and 2008. The names of Kirri's pups are all picked from the Nordic mythology. Penni is born in Belgium and she came to Sweden Nov 12, 2000, 18 month old. She is a true sweetheart, always happy and eager to work. A beautiful girl with great coat and color, she has been showed with BOB and CACIB. Penni is mother of our C litter, sired by the black KORAD Lp I II III SLCh SUCh Tjh Bribories Tarzan, and D litter, sired by KORAD Explosiv's For Freedom. Two pups from the D litter are exported to Australia. Penni's pups are all named with names from the car world to match their fast mother. AustCh Altibo's Dakota got one litter in september 2006 and a second litter in August 2007, at kennel Münchener. KORAD Altibo's Chevelle got a litter, in January 2007, here at Altibo. 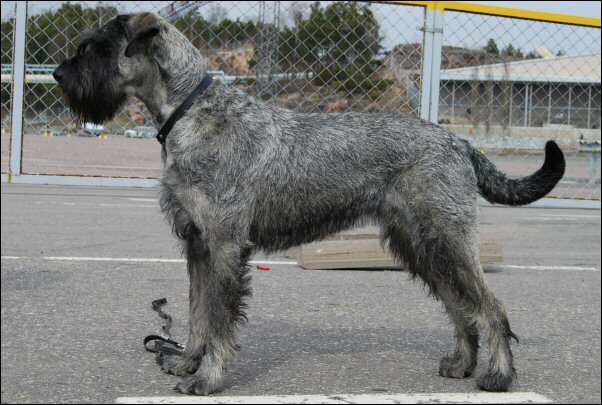 In August 2009 Altibo's Cutlass sired a litter in Germany. In December 2010 KBH V-06 Dk UCh NO UCh Nord V-07 Altibo's Daytona had a litter at kennel Allsvinn. Bella, from Kirri's last litter is a friendly and workable dog. Bella is showed twice with 1th prize in open class and april 2005 she did her mentality test with + 176 p.
Year 2006 she was mated with Kbsg Bjsg Jjsg Graf-Gängster v Alt Herrenwyk and had 9 pups, in our E litter. In 2008 we had the opportunity, thanks to Bella's owners, to have a second litter with this wonderful female. Our G litter with 10 pups, sired by VPG3 IPO3 Zeus v Hatzbachtal. In January 2010 Altibo's Erna had a litter at kennel Bajrac. In March 2013 KORAD Altibo's Gulltopp had our I-litter. Chevelle, from Pennis första kull, is a friendly and a cooperative dog with fight drive. Penny are showed in junior and open class with 1st prize in quality. In October 2006 Penny did her mentality test and passed with +144 points. I November 2006 Penny were mated with Enzo Ferrari v Amber in south of Germany. Our F litter consisted of two black males, one black and two p/s females. In June 2011 KORAD Altibo's Frontera had a litter, our H litter. We kept Trolla from KORAD Altibo's Chevelle's litter. She is training and trialing search with her owner. The 7th of June 2008, Trolla did her MH (Dog mentality assesment) and 29th May 2010 she passed her MT. The 7th Nov 2010 she passed novice class search. Trolla is mother of our H litter, born 20th June 2011. Gulltopp is from Bellas second litter. We now had the privilige to borrow her for a litter. Grejja is a sweet girl with a nice MH and MT (mentality test). As a daughter to the best mum in the world we had some expectations, and surely also Grejja is a great mother! 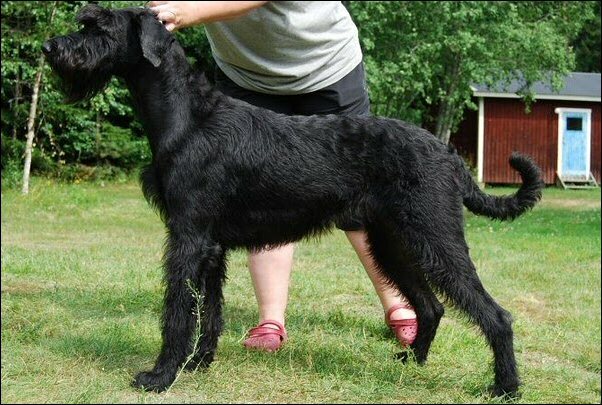 In March 2013 our I litter after Allsvinn Dylan, son of Ch Altibo's Daytona, was born. The litter consisted of 6 pups and 4 of them were p/s.